As we get older we start thinking more and more about health and conditions we may be prone to getting. This is something you think about a lot when thinking about your eye health in particular. One condition that can start to develop as you get older is Primary Open-Angle Glaucoma. This is the most common type of glaucoma and it occurs gradually over time. When you have this condition, your eye does not drain fluid as well as it should, similar to a clogged drain. Because of this the eye pressure continuously builds up and this starts to cause damage to your optic nerve. This type of glaucoma is painless and causes no vision changes at first which is why it is commonly overlooked and not detected immediately. Since Primary Open-Angle Glaucoma starts out with minimal to no warning signs or symptoms it is vital that you are having your eyes regularly examined. Eye exams are always important but become increasingly important as you age and could start developing these sometimes silent conditions. A regular eye exam will allow you to detect Glaucoma sooner and give you time to protect your vision. This is important to keep in mind because in the United States alone Glaucoma has left 120,000 blind. Now that you know what Primary Open-Angle Glaucoma is and how severe it can be if it goes unrecognized it is important to take the next steps to protect yourself from this condition that could leave you blind. 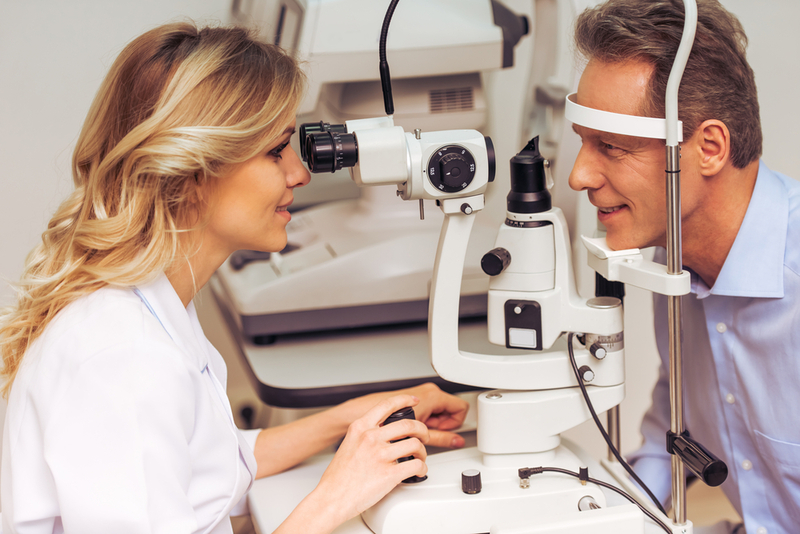 You can do this by scheduling an eye exam regularly to detect any warning signs of this condition as well as numerous other conditions that can negatively impact your eye health.